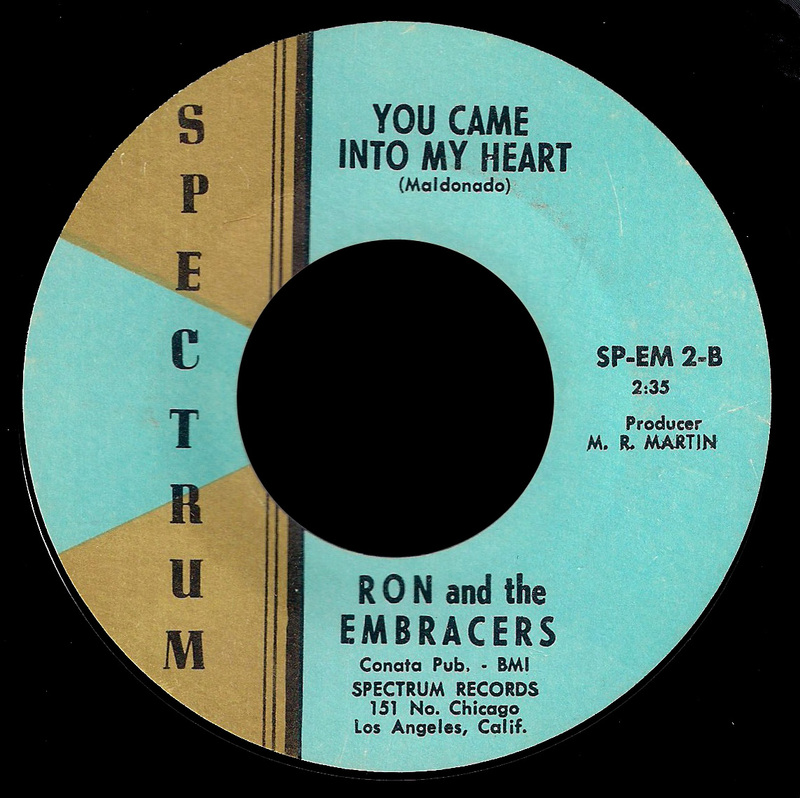 Ron & the Embracers were a semi-obscure group from East Los Angeles, CA. That’s about all that I know of them. 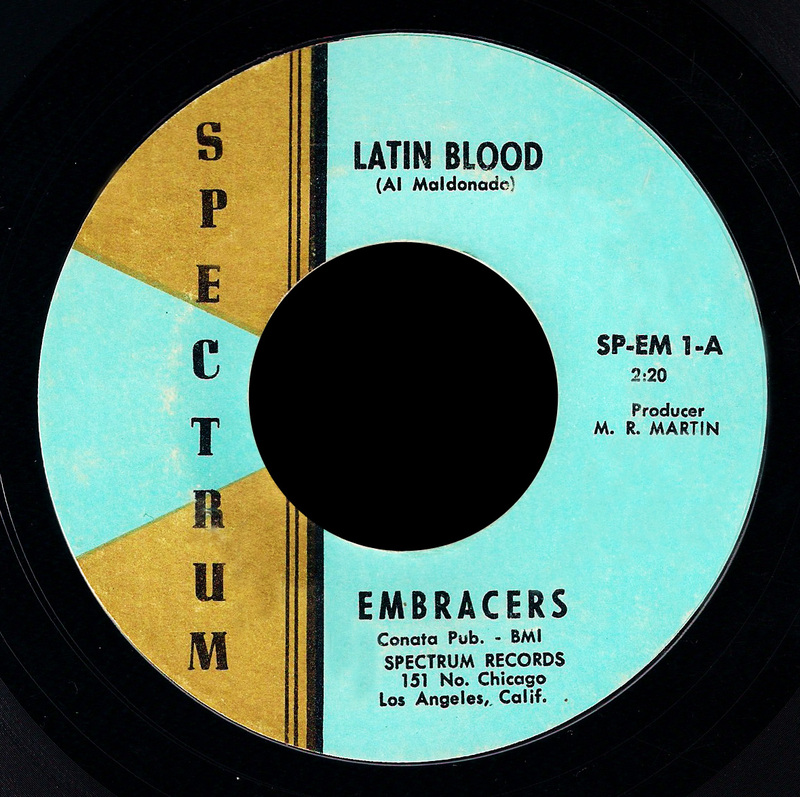 “Latin Blood” is the A-side to their highly sweated Brown-eyed Northern Soul tune “You Came Into My Life” on Spectrum, and it’s a heavy instrumental complete with nice keys, a reverbed-out guitar and loud horns a la Los Vampiros. I’ve personally been jamming this out all winter, since it has a nice vibe to it that suits this time of year. Perfect for a crisp, sunny winter day in California. Now for the Northern Soul tune. The horns on this track are what it’s all about for me here, but really it has a lot going for it. For one, Ron’s voice is like butter over the backing soul music. 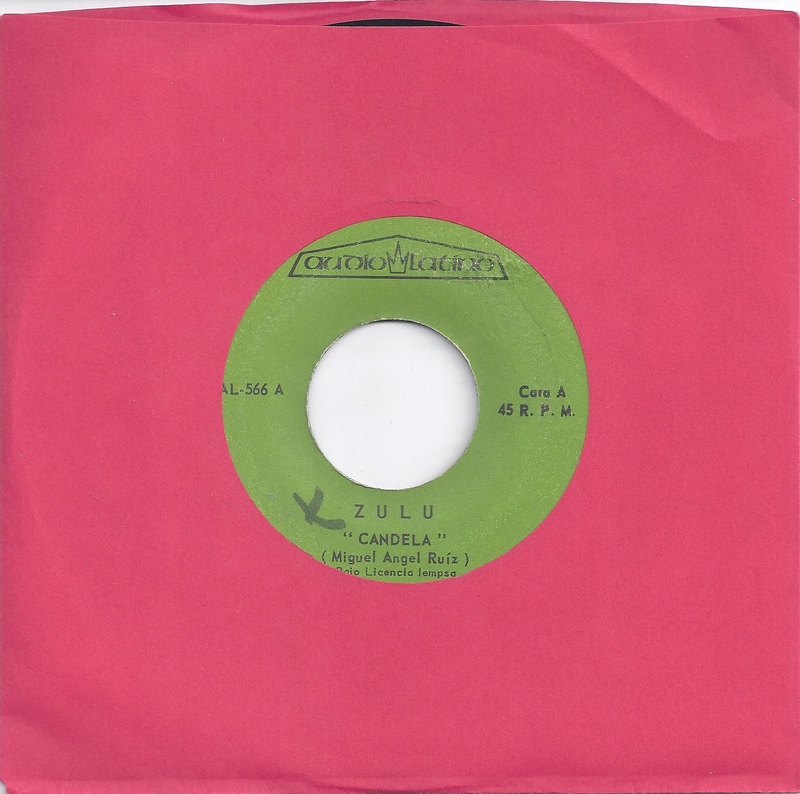 I’ve never heard of this fellow named Al Maldonado, who apparently produced both of the songs on this 45, but I’d love to hear anything else he had a hand in! Thanks for the great songs Adam. 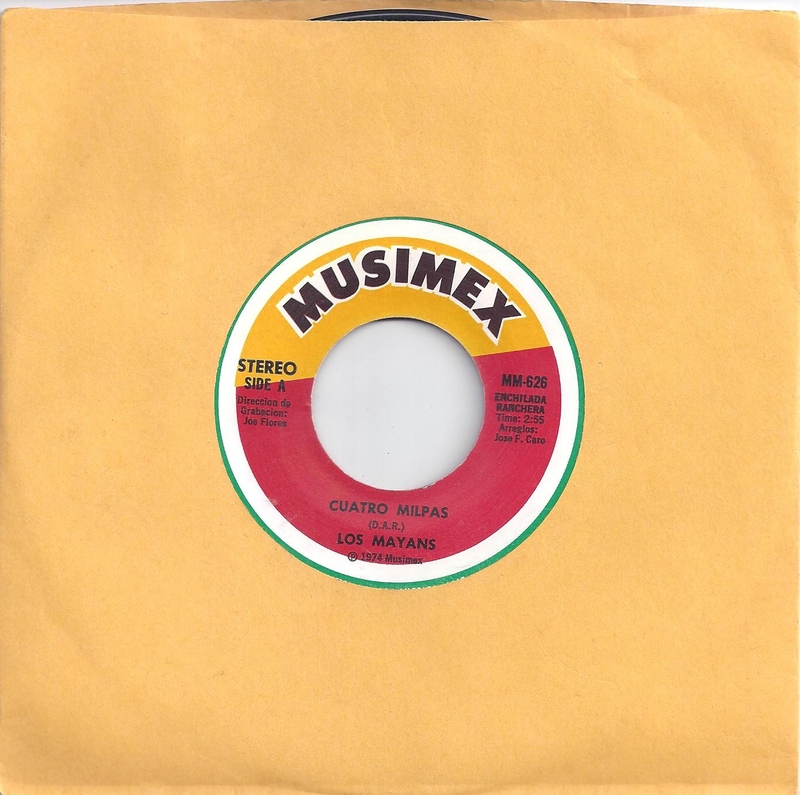 Be sure to check out Adam’s blog Musica Del Alma – not only has Adam been a guest here before, but he’s the type of guy who’ll come to your house with a bottle of whiskey and bag full of records I’ve never seen or heard before. He is a gentleman and a scholar. For the last 2 years I’ve been trying to somehow fit the Prime Mates 45 “Hot Tamales” into these February sessions. 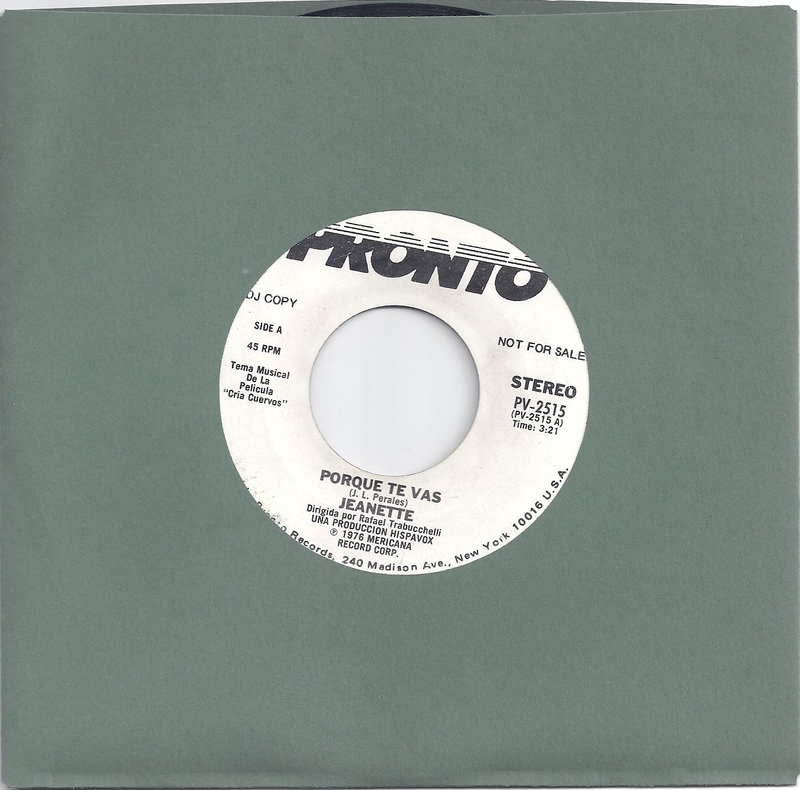 The thing is, if I put this song into the mix, I am kind of straying Super Sonido’s path of all things “Latin”. 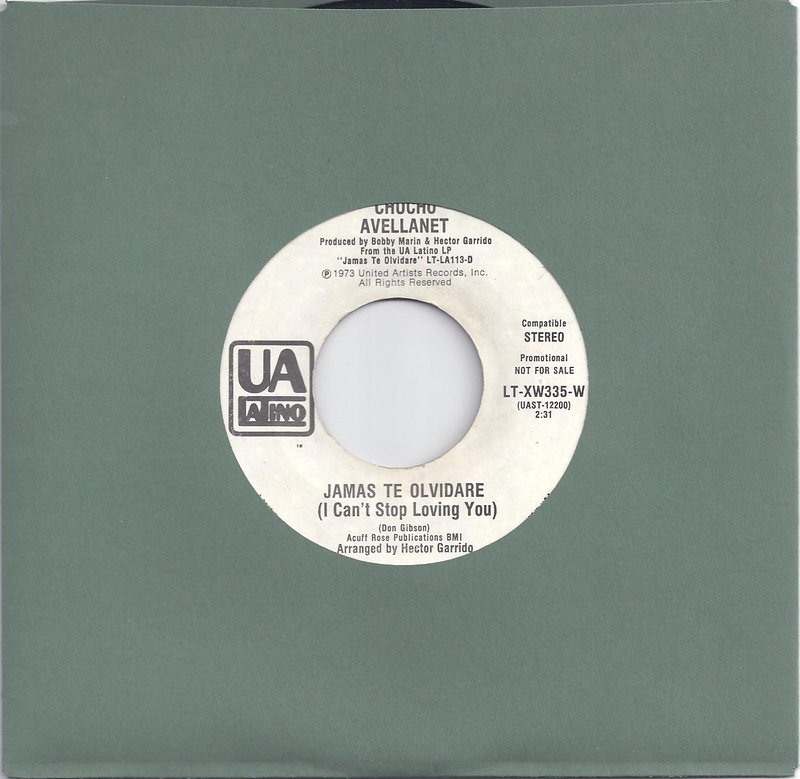 But if Alan Toussaint (you can hear him playing piano) didn’t have a production credit or if it wasn’t on the Sansu label, I probably would assume that it was some obscure East L.A. garage band doing this number. Also, to the credit of Mr. Dunbar and the amazing instrumental “Latin Blood”, I would have never thrown up this comparable gem. Nevertheless, this is my blog so I can do whatever I want – Latin or not. Toussaint, the Meters, Art Neville (organ? ), fuzz guitar, and hot tamales? I’m sure I can be forgiven. Enjoy! 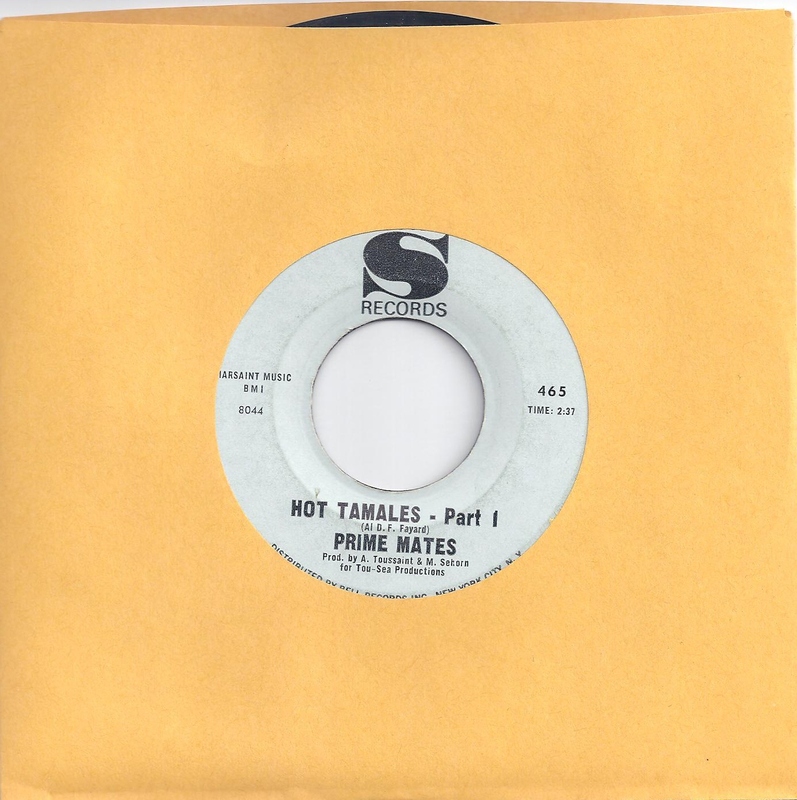 Super rare cut from Eddie Aleman’s Omega label out of San Antonio Texas. 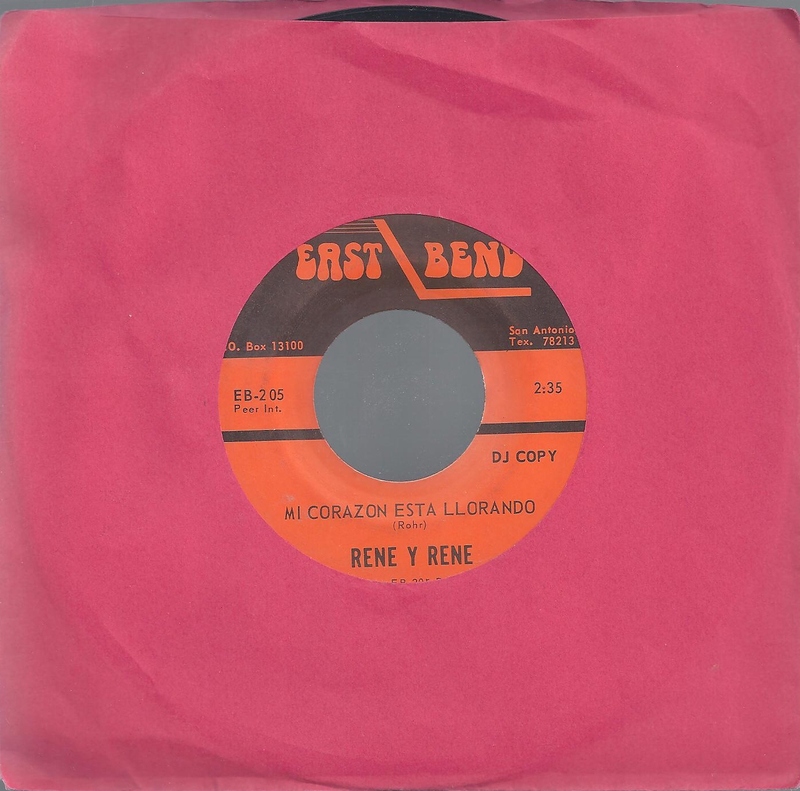 It seems that Mr. Aleman was part of the whole Tex-Mex rock/soul movement that arose out of Texas in the 60’s. 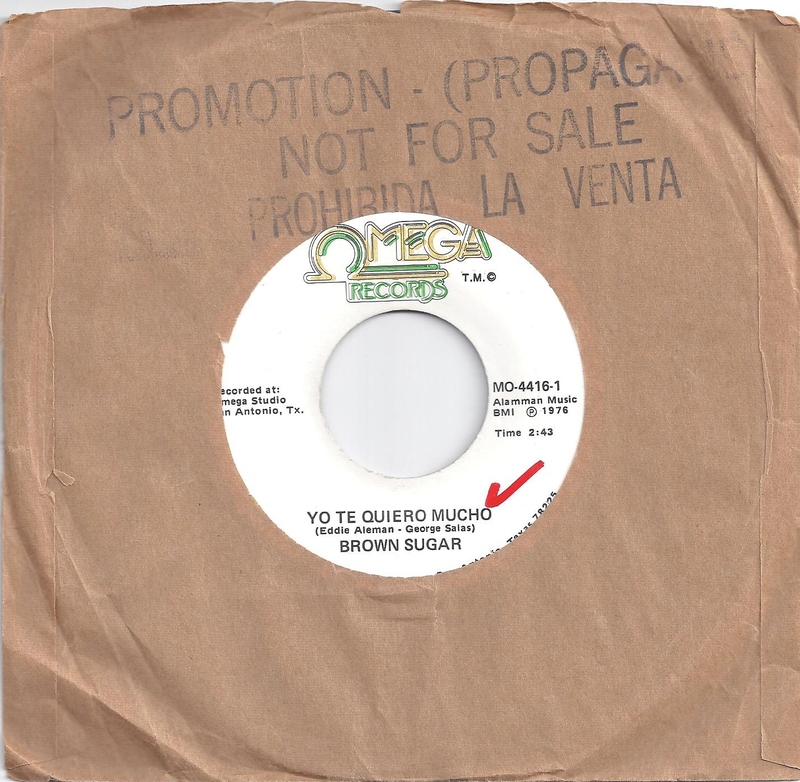 For the most part, I haven’t had much luck with music on the Omega label, mostly ranchera and corrido numbers – so it was awesome to find this brown-eyed boogie funk track. Not much else is known about these guys, but it appears that Aleman had something to do with the ultra rare San Antonio labels CG Production and Mr. G – all which seemed to have disappeared into obscurity. This one is going in my rotation. Enjoy!!! 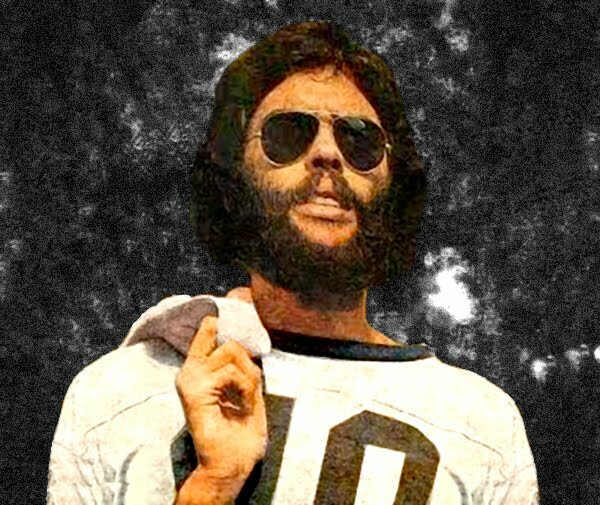 A great fuzzed out rendition of country singer/song writer Don Gibson’s “I Can’t Stop Loving You”. The song would go on to be covered by the likes of Frank Sinatra, Ella Fitzgerald, and immortalized by Ray Charles. I think that Pucho and His Latin Soul Brothers even does a version. But for singer Chucho Avellanet, “Jamás Te Olvidaré” scored a massive Latin American pop hit. Apparently he would go on to adapt more pop standards into Spanish on the United Artists label in the 1970’s. Also popular for being a comedic actor in this native Puerto Rico and continuing his success with a string of romantic hits in the 1980’s. From the looks over everything else Chucho has done – it doesn’t get any better than this. Enjoy! I just got back from Nicaragua which can account for the lack of posts lately (sorry I didn’t dig for any records while there – hung with the family). Luckily for the listening audience though, I’ve been trying very hard to avoid a social life since I’ve returned. To pass the time, I now devote my life on reading, working, playing video games, comparing the different elo boost quality services on p4rgaming.com, and going through the tens of 1000’s of 45’s I have yet to listen to. Here is one 45 I found last night. 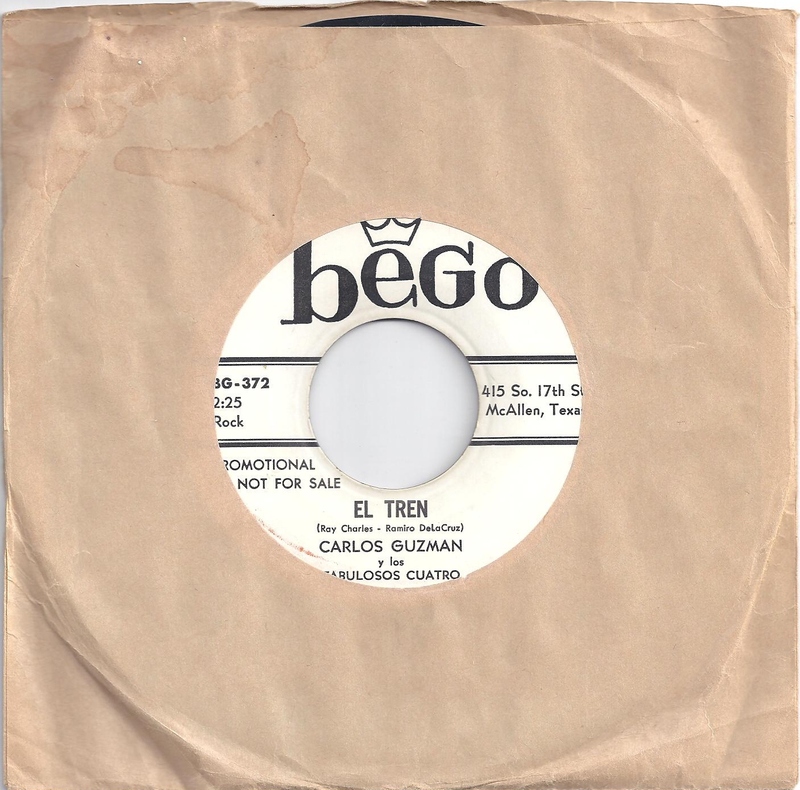 I have no idea who Carlos Guzman y los Fabulosos Cuarto are – but their song El Tren (the train) is totally awesome. Enjoy!